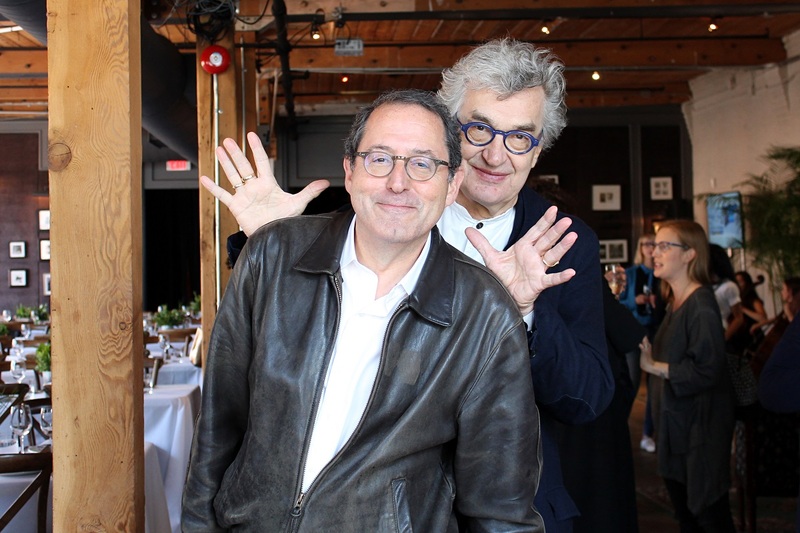 “I’m not an artist, I’m a craftsman, and the craft is life.”—Wim Wenders, honoree at the Ebert Filmmakers Tribute lunch at the Toronto Film Festival, September 10, 2017. An intimate group of filmmakers, professionals, and fest goers assembled at the RBC building this year for the Ebert Filmmakers Tribute to honor Wim Wenders, the award-winning creator of “Paris, Texas,” “Wings of Desire,” “Until the End of the World,” “Buena Vista Social Club,” and this year’s “Submergence,” premiering at TIFF. 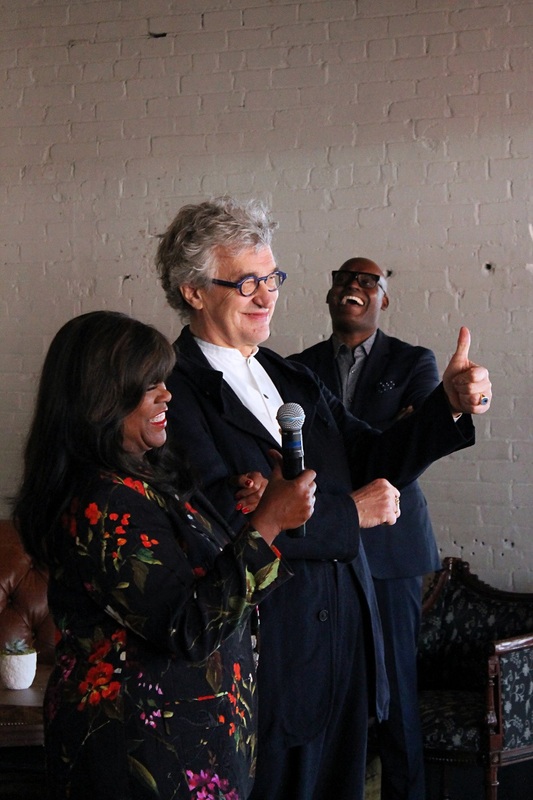 The event included a lovely string duo, "Me and Her," playing a diverse array of modern songs, including “Chandelier” and “City of Stars,” and a sit-down lunch for the lucky invitees. 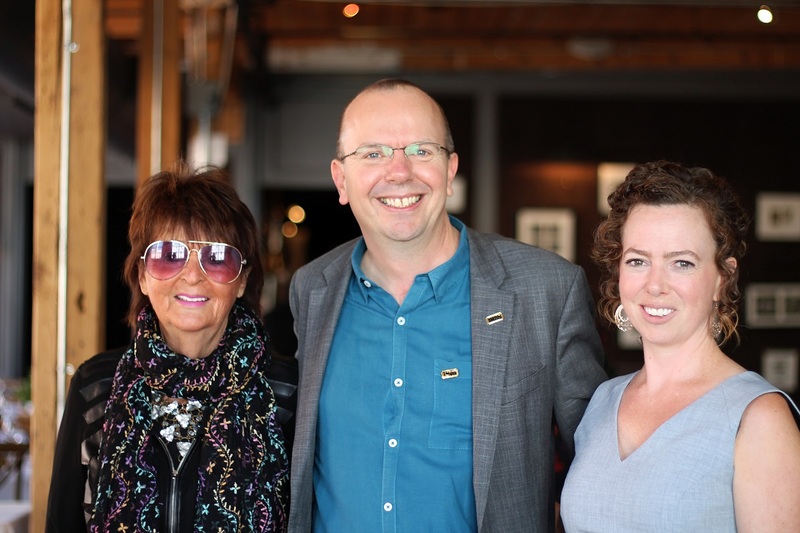 The Ebert Tribute was started in 2014 to celebrate the very best minds and hearts in cinema in honor of Roger Ebert's passion for film and his impact on the Toronto International Film Festival. 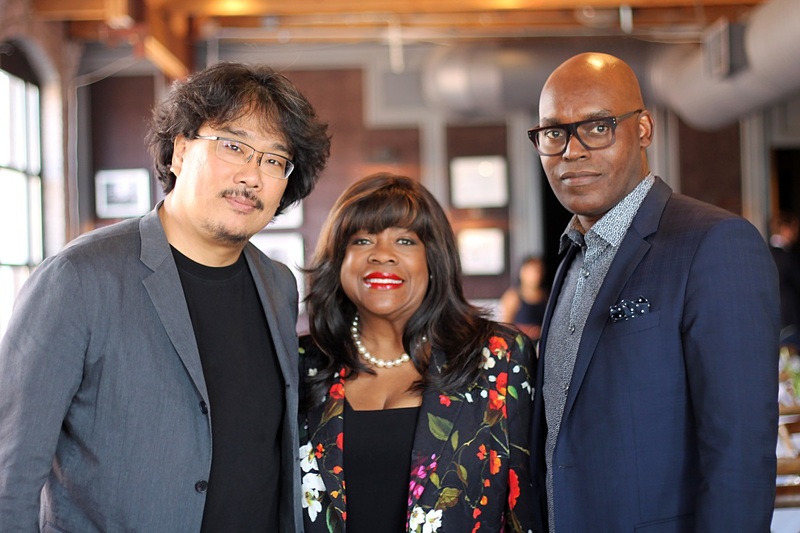 It is hosted by Chaz Ebert (this site's publisher) and Cameron Bailey, the Artistic Director of TIFF. 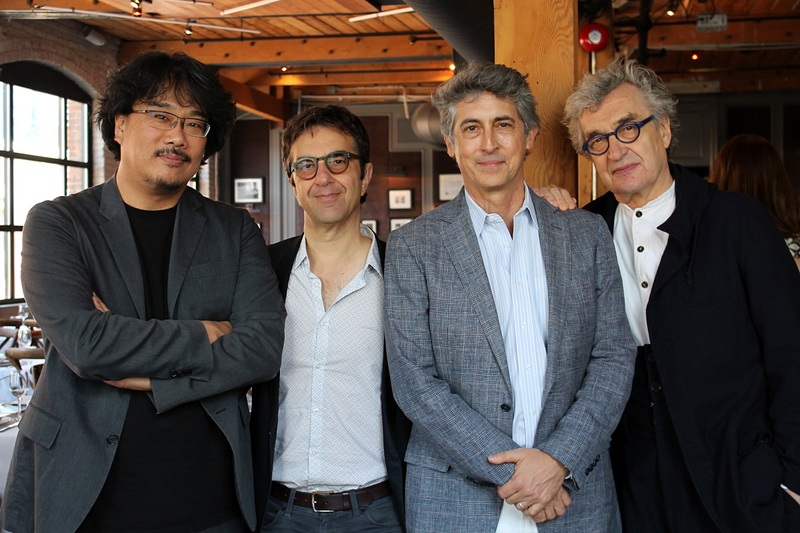 Special filmmaker guests included Atom Egoyan (“The Sweet Hereafter”), Alexander Payne (“Election”), Sarah Polley (“Stories We Tell”), Bong Joon-ho (“Okja”), Clement Virgo (“Love Comes Down”), Patricia Rozema (“Into the Forest”), Jennifer Baichwal (“Watermark”), Bornila Chatterjee (“The Hungry”), Iram Haq (“What Will People Say”), Annemarie Jacir (“Wajib”), Peter Mettler (“The End of Time”) and Malgorzata Szumowska (“Elles”). Other special guests included TIFF co-directors Piers Handling and Michelle Maheux; Sony Pictures Classics co-president Tom Bernard; Col Needham of IMDb.com; entertainment attorney Brenda Robinson of Greenberg Glusker; Shawn Edwards, co-founder of the African American Film Critics Association; Karen Cohl, federal judge and daughter of TIFF co-founder Dusty Cohl; and many other guests. Michael Barker, head of Sony Pictures Classics, then stood to honor his longtime collaborator and friend. 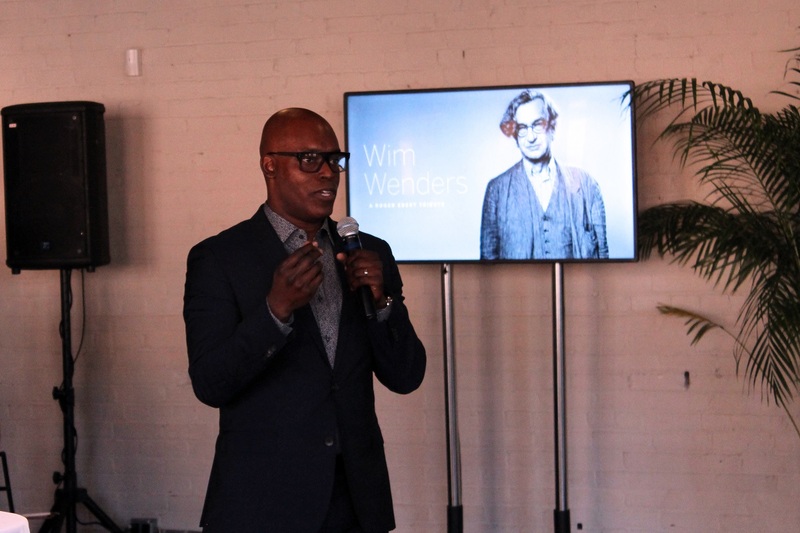 After noting that Roger helped make him a public speaker by encouraging him to present at Ebertfest, he gave a heartfelt and moving ode to Wenders, built on the idea that this unique filmmaker can see the future. There’s something about Wenders’ films that gives them a sense of being out of place with their era, especially works like “The American Friend,” “Wings of Desire,” and “Until the End of the World.” Barker discussed what it’s like working with such a smart, humanist man. Wenders hasn’t slowed down at all, bringing “Submergence” with Alicia Vikander and James McAvoy to this year’s fest. He gave a brief, humble speech in which he spoke of himself more as a craftsman than an artist. After such an incredible career, it’s remarkable to see one of the most influential filmmakers working today remain so down to Earth. One of his next projects involves a film about the Pope, in addition to a tour of over 200 of his Polaroid photographs from his earlier films. 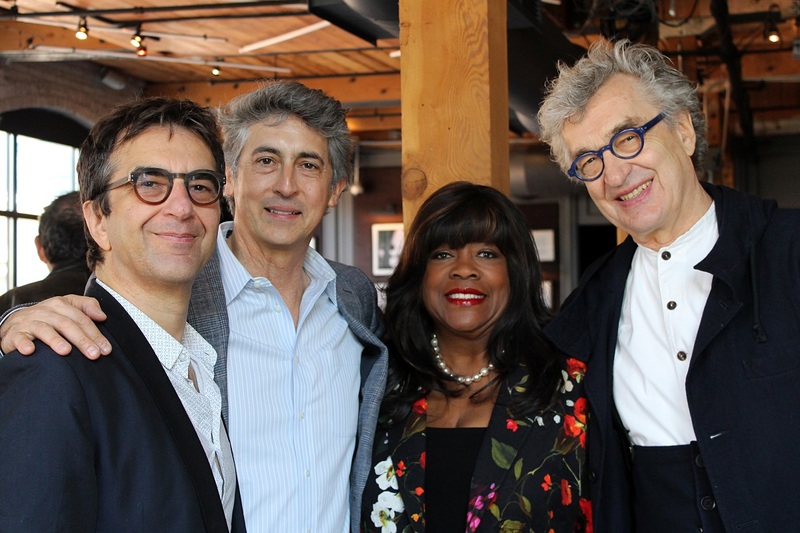 Wenders joined Martin Scorsese, Ava DuVernay, and Agnes Varda in an increasingly impressive group of recipients of the Ebert Tribute at the Toronto International Film Festival. 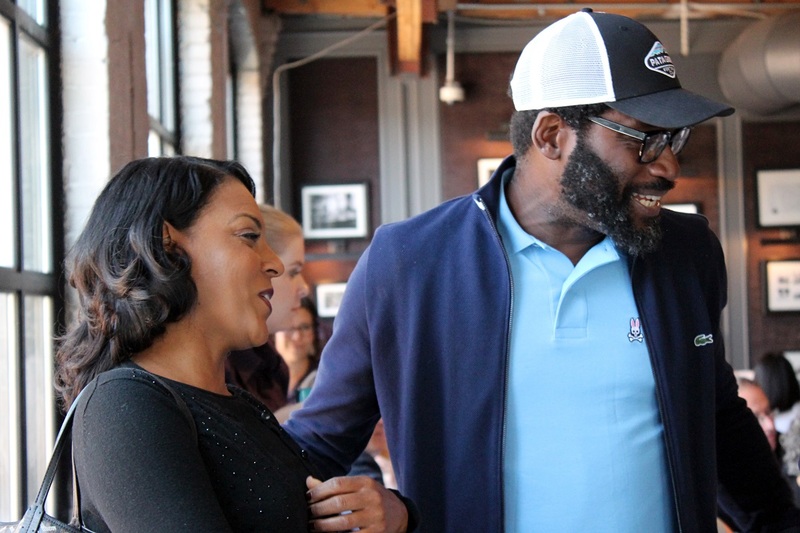 As Chaz Ebert noted, this is an event designed to take people away from the hustle and bustle of festival life for a few hours, and just celebrate art and each other. 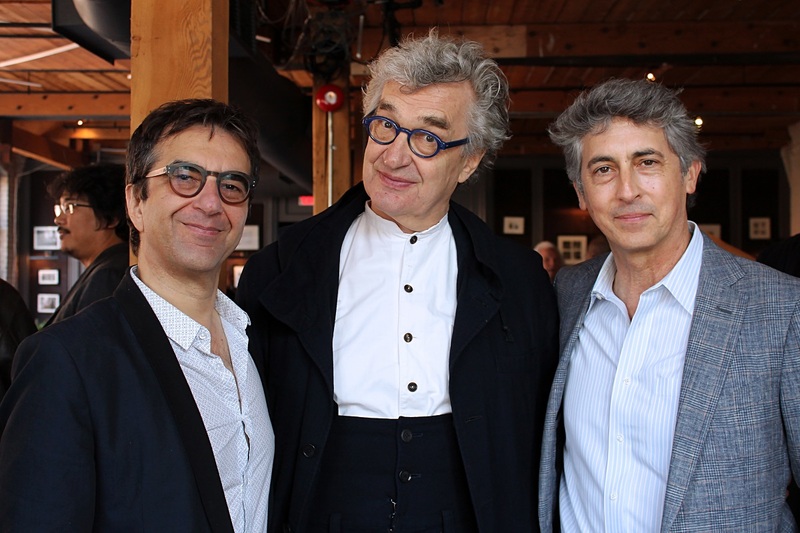 Wenders has transcended language, and made empathy easier around the world. In a time when his films feel more essential than ever, it was heartwarming to see him honored. Next Article: Cupid's Arrow Pierced My Tender Heart at the Movies Previous Article: TIFF 2017: "You Disappear," "Disappearance"